A tsunami in Indonesia has killed at least 20 people and injured 165. A "sudden tsunami" has killed at least 20 people in Indonesia. At least 20 people have been killed by a tsunami that hit beaches in Indonesia after the Krakatoa volcano erupted. At least 165 other people have been injured, Indonesia’s Disaster Mitigation Agency said. Dozens of buildings were damaged. Pandenglang District, South Lampung and Serang were hardest hit, and the death toll was likely to grow. 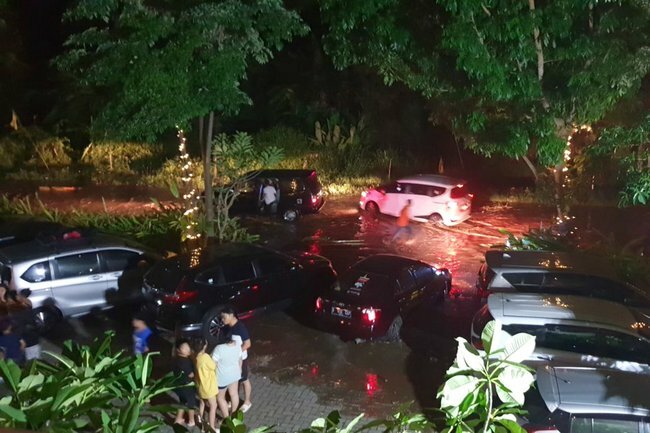 The Disaster Mitigation Agency said the tsunami was possibly caused by landslides due to the eruption of Krakatoa and tidal waves due to the full moon. “The two combinations caused a sudden tsunami that hit the coast,” the agency said. Volcano photographer Oystein Andersen posted on Twitter that he was on the beach observing the Krakatoa after explosions earlier in the evening when the waves came. Videos posted on social media show flooded streets, an overturned car and people running up stairs to escape the waves. The 1883 eruption of Krakatoa was one of the deadliest volcanic eruptions in the world, killing more than 36,000 people.